Easy Street is about Easy Street Studios, a recording studio in Bethnal Green with a history of producing reggae and ska music. 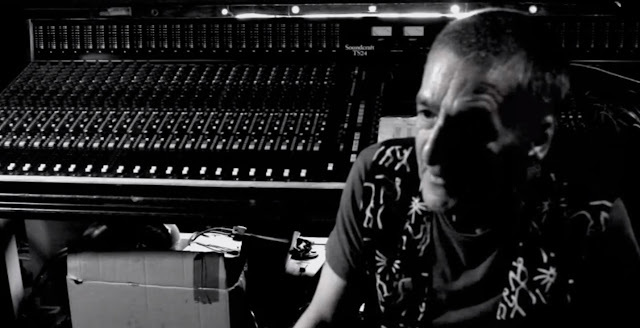 It's run by UK producer EddyMan, who has recorded some of the most significant UK reggae artists of the last 30 years: including Gregory Isaacs, Denis Brown and Sugar Mintor. But the last few weeks marked the end of an era, soon after completion of this film Eddy Man was evicted from the Cable Street premises and forced to relocate elsewhere in East London. So the film marks the end of an era, acting as a retrospective and history of what Easy Street Studios stands for. This is fertile ground for a documentary, a rich history, an eccentric and interesting cast of characters and some damn good music. As the film uses lots of documentary footage of performances from elsewhere, there's a smart decision to make everything black and white. This ties everything together visually, creating a sense of continuity between the clips. More, importantly, the original footage, primarily comprising of interviews with EddyMan and some establishing shots looks great. It is perhaps a bit obvious to interview a producer with a big mixing board behind them, but it's a quick shorthand and the high contrast filter picks out the details of both the mixing board and his lined face. EddyMan looks interesting before he even says anything, like someone who's lived a life and has a whole bundle of stories to tell. He's got a punkish energy that makes it feel alright, as the film briefly does, to poke fun at him when he says he never went to Hackney having grown up in Bethnal Green, and with a *ding* we get a cut to a map showing the 2 mile distance between the two locations. But EddyMan being interesting can only take things so far. I didn't know anything about this subject prior to watching the film, and the film doesn't exactly make it easy on you. 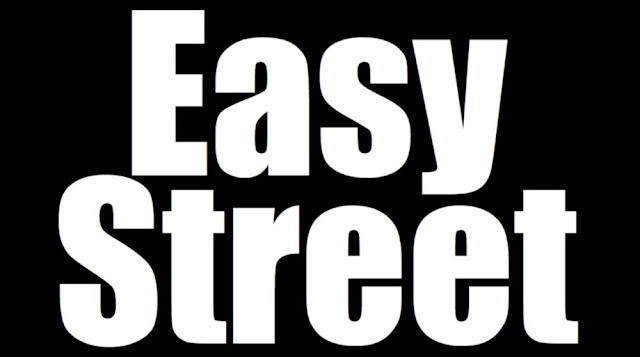 We only find out that the title Easy Street actually refers to a recording studio is about a third of the way into the film. Rather than an introduction or explanation, there's the bizarre decision to begin with a cold opening of an unidentified woman being interviewed by another unidentified woman about a subject I know nothing about. For a documentary to make me invested in it, it should behave like its subject is the most important thing in the world. There should be a laserlike focus on the three Ws: who, what and why. For large stretches of Easy Street this focus is completely absent - if you spend the first four minutes of a 15 minute documentary spinning your wheels by showing non sequitur archive interview clips of people I neither know or care about - you're wasting your time. This lack of any introduction or explanatory voiceover is a fatal blow and puts the audience on the back foot from moment one, racing to catch up and figure out what the film is even about. This is frustrating because right at the end there's a pre-cooked narrative; we learn just before the credits roll that EddyMan was evicted from his studios and there's a campaign to raise funds to relocate him. We also hear how the director got to know EddyMan, that he moved into the unit next to him and the music would make his windows rattle at night. Why aren't we told this at the start? In addition, we're never quite sure of what relevance the documentary footage has to the narrative of Easy Street Studios. I assume Shabba Ranks and Shaggy recorded there - but when and what they recorded is left a mystery. While it's obvious that there's a real passion for reggae music, Easy Street Studios and a clear fondness for EddyMan at the heart of this documentary, it feels made for an audience that already knows everything about the situation. An audience for whom watching a documentary about what they already know is pointless. But on the upside this is an actual film; it's edited and put together pretty competently and visually it doesn't look half bad. The downside is that it's not a documentary - it's far too opaque and unfocused. A documentary is supposed to educate, but after watching Easy Street I'd be hard pressed to tell you much about the Easy Street Studio other than the absolute basic facts.